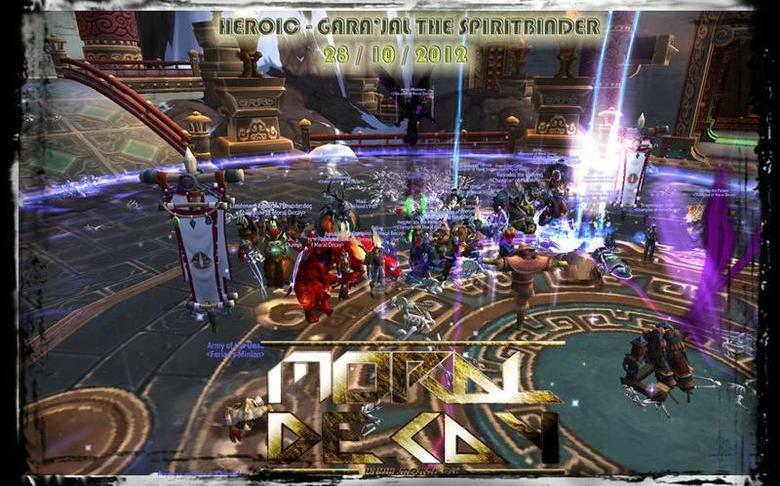 After some raids with good steady progress on Raggy and a reset ending with an 11% wipe (1% away from kill), we got Ragnaros down on a sunday, thus cleaning FL on 25 man normal mode :) This led to our first cancelation of a monday raid for 2 months. Amazing that we during the summer time have been able to do 4x25 man raids for the past 2 months in fireland. In the beginning a lot of the new players lacked some gear, but I think we are at the point where we can consider ourself fully back at our old strength and the new people seem to be integrated well into the team. In the reset after the Ragnaros kill we killed Shannox HC and had some good tries on Rhyolith HC. We wanted to be sure to kill Raggy again, so we went for him and major domo already sunday. We oneshotted Major Domo and had killed Raggy again arround 22:00, leaving a lot of time left in the reset unused. The comming resets we will dedicate both wed and thu exclusively to hardmodes and do a farm run on sundays and clean plus raggy on monday.